Who would have thought that a member of the parsley family could be used to make an outstanding liqueur? Yet, anisette, based on the oil from anise seeds, is just that. Popular in many countries in Europe, such as Italy, Portugal and Spain, anisette was given birth in France. When it comes to making fine alcoholic beverages the French are nothing if not inventive, no? They created a sweet liqueur by grinding more than a dozen different types of seed into a neutral spirit. They combined it with syrup and let it distill until it reached 25% ABV (alcohol by volume). That lower alcohol content has many advantages. While 80 proof (40% ABV) scotch whisky is no doubt a delight, it can be a bit much for an after dinner drink sometimes. But wine, with only 8-12%, sometimes isn't quite enough, delightful as the taste may be. Anisette comes in right down the middle to provide the perfect ending to a fine meal. That perfect ending is possible, of course, only because anisette delivers a perfect taste for some occasions. Naturally, no one would argue too strenuously that it is only appropriate after dinner. After a hard day's work, after a vigorous horseback ride, or just after 3 o'clock on Saturday because you feel like it are all good times for an ounce. If the licorice taste and 50 proof level strikes an individual as a little too strong, anisette also makes for a perfect ingredient in a mixed drink. 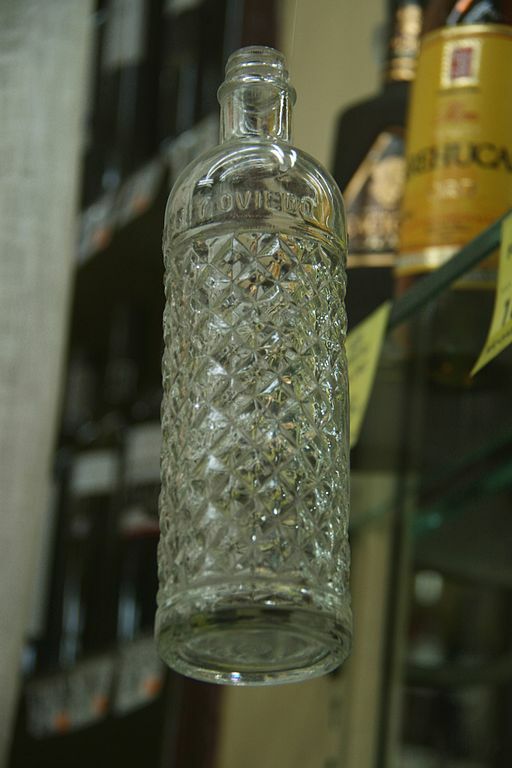 Individuals will readily appreciate some of the interesting names for cocktails made with this clear, sweet spirit. Pre-made liqueurs like Galliano contain anisette. But a Russian Roulette or a Dubonnet Royal are more than just terrific names for a cocktail. They're a treat at any time of the day. To make a Russian Roulette is simplicity itself. Simply pour a 1/2 ounce (15 ml) of Kahlua into a liqueur glass. Add 1/2 oz of Vodka, followed by an ounce of anisette. Stir gently. Because it is a drink for individuals, preference rules in how it should be served. Room temperature is preferred by some. Others will want it chilled to 40F/4C for about 1/2 an hour. If you can wait that long! Still others will prefer it poured slowly over exactly three ice cubes in a small glass. There's nothing magic about the number of cubes, but individuals will insist on having it their own way, you know. Indeed, making anisette itself isn't hard and the truly go-their-own-way person will regard it as an adventure. Just gather some anise seeds from plants near the Mediterranean. Ooops... Wait. Not feasible for everyone. Fine, just buy them. Grind them up using a pestle and mortar, making sure the oil is well spread. Pour a quart - one liter - of 80 proof pure grain alcohol - or substitute Vodka - into an airtight container. Add three ounces of mashed seeds. Leave to stand and the alcohol will get the desired anise flavor. To read all about spirits, of the earthly kind, the introduction to spirits is the first step.